So why visit Cape Town? South Africa’s ‘Mother City’of Cape Town stretches its arms around a magnificent peninsula, reaching around from the bustling city bowl in Table Bay and the plush beachside neighborhoods of the Atlantic Seaboard to False Bay’s quaint boutique suburbs and the wild majesty of Cape Point. On any given day, whether embalmed in the mist of winter rain or drenched in the heat of the African sun, the city is brimming with recreational excitement and the promise of adventure. There is often a nagging feeling that there are not enough hours in a day (or days in a week, for that matter) to experience everything the beautiful Cape has to offer. The possibilities to explore or hurl your senses into an adrenaline frenzy are truly endless. Toil to the top of Table Mountain, delve into the region’s prestigious wine country, sail the shivery Atlantic or meet the majestic creatures in its depths – all in one day, on a tour of Cape Town. For the adventurous type, no wildlife encounter comes quite close to diving with the formidable great white shark. False Bay is famous for predatory breaches - one of the few places in the world where you can be bowled over by the spectacle of a 5m, 1000kg sea monster airborne in its pursuit of a Cape fur seal. For an overland nature experience, take in Noordhoek’s wild stretch of beach on horseback or hike the rugged trails of Cape Point amongst ostriches, Cape zebra, red hartebeest and baboons. 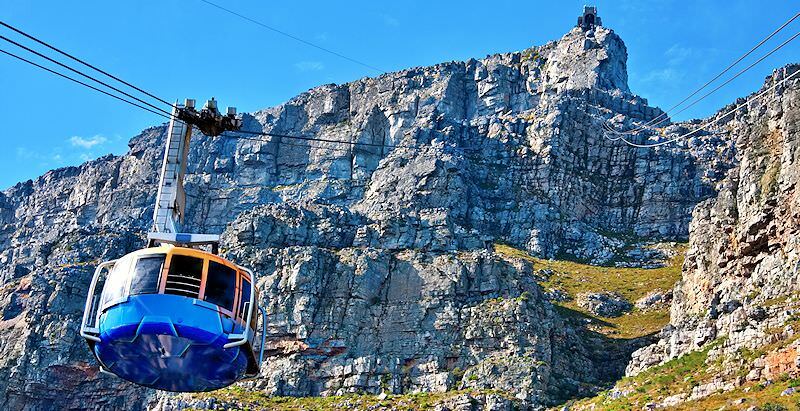 If ascending to the top of Table Mountain via foot and rope or the established cableway (a mere 5 minute trip in a 65-passenger rotating car that offers scenic views of the city and beyond) fails to satisfy your inner adventurer, do no forget that the sky is your limit. For example, you can explore the peninsula from the fringe of the heavens in a para-glider or hang glider - the views are some of the most exceptional in Africa. Table Mountain National Park is also ideal for abseiling, mountain biking, caving and rock climbing. The South-Easter wind, affectionately nicknamed the Cape Doctor, makes Cape Town a prime kite surfing destination. On a gusty day, hundreds of kite surfers can be spotted bouncing on the swells of Bloubergstrand or Langebaan further up the coast. Muizenberg, stretching south from the crest of False Bay, is a surfing hotspot, while the best swimming beaches include Llandudno and (clothing-optional) Sandy Bay on the Atlantic seaboard side. St James, Kalk Bay and Fishhoek in False Bay have fractionally warmer tidal pools ideal for swimming. Boulders Beach is a popular swimming hole for nature lovers; scattered with striking granite boulders, this protected area has become a settlement for a large colony of African penguins. For a small fee, visitors can sunbathe and float in the cool surf with these charming tuxedoed birds. The Cape region also boasts some of the finest vineyards in the world. Exploring the Cape winelands of Constantia, Franschhoek, Paarl and Stellenbosch is a connoisseur and gastronome’s fantasy-come-true. 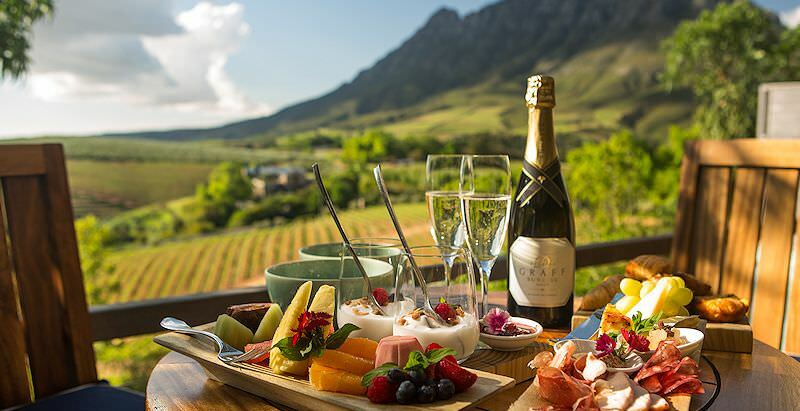 Nestled in the picturesque valleys of the Hottentots-Holland Mountains, most wine farms offer tastings, fine dining and vineyard or cellar tours. The towns themselves are rich with old Cape Dutch architecture as well as charming boutiques, cafés and restaurants. Cape Town has an activity (or inactivity) to suit every holidaymaker’s yen. The city hosts a multitude of local and international designer stores, esteemed restaurants and lavish drinking holes. The historic Victoria & Alfred Waterfront is such a hub that entertains everything from a German-style brauhaus that brews its own beer, revered seafood utopias and the biggest names in fashion to the Two Oceans Aquarium and sunrise or sunset cruises from Table Bay Harbor. Rub shoulders with the rich and famous on the elite beaches of Clifton and Camp’s Bay, or people-watch from the street-side cafés with a juicy cocktail in hand. Steam off your stress in one of the numerous top-notch spas that populate the region or gear up for a night on the town. Cape Town’s nightlife is legendary, with cosmopolitan cocktail lounges, zesty clubs and cozy pubs abounding from Green Point to Long Street. For history buffs or travelers seeking a more cultural experience, the city is rife with museums and tokens of bygone years. 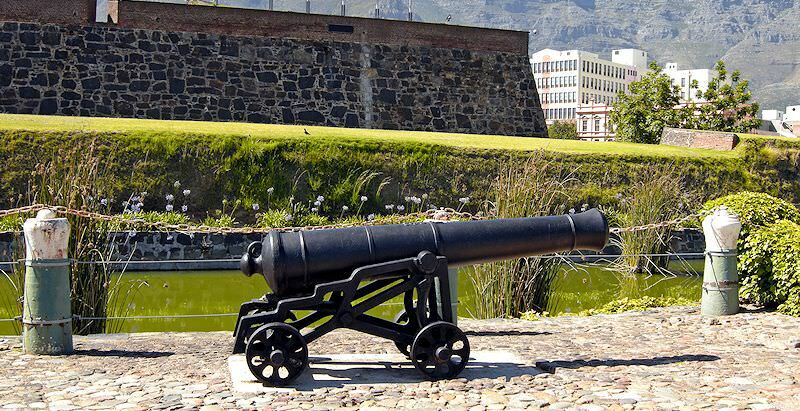 A pentagonal fortress built in the 17th century, the Castle of Good Hope is the oldest standing structure of colonial South Africa. Attractions in the historic building include canon demonstrations, tours of the old cells and living quarters as well as artwork and artifacts on display in the museum spaces. One of the most popular historical attractions is the infamous Robben Island, where several political prisoners were confined during the struggle years, including South Africa’s first democratically-elected president, Nelson Mandela. With a former political prisoner as a guide, gain insight into the 27 years Mandela spent in a cell, along with stories of other ‘freedom fighters’ and the island’s history as a leper colony. Ferries depart to this UNESCO World Heritage site three times a day from beneath the clock tower at the V&A Waterfront. For further cultural enrichment, discover the plethora of museums, art galleries, theaters, markets and festivals Cape Town has to offer. The Kirstenbosch Botanical Gardens summer concerts are extremely popular, with Franschhoek’s Bastille Day Festival serving as a cultural highlight in the winter. The Cape Town Stadium in Green Point also hosts many major sporting and entertainment events throughout the year, so be sure to check the events calendar. African Sky offers a great variety of tours that include Cape Town and even tours that focus solely on this magical city.